Because of the heat wave and lack of rain, I’ve had to water the garden just to keep the plants alive. 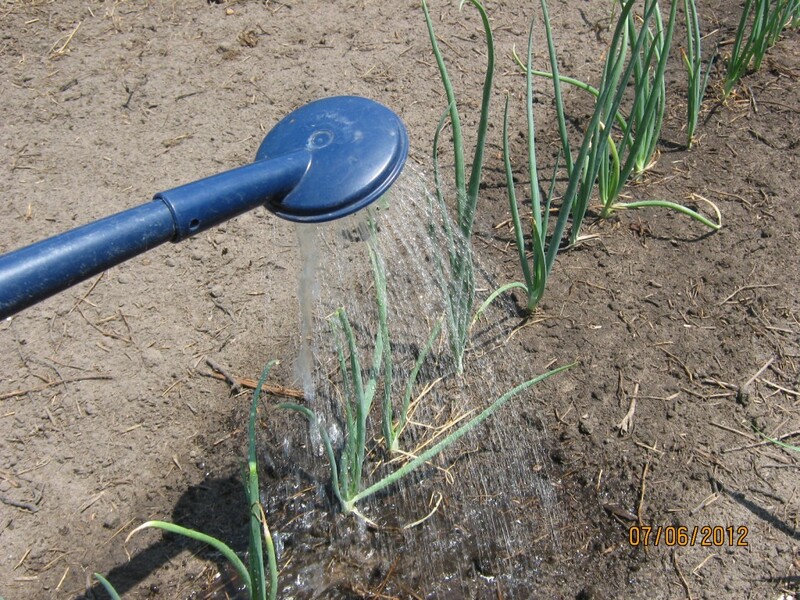 To conserve water, I’ve been syringing the plants one at a time with a watering wand. 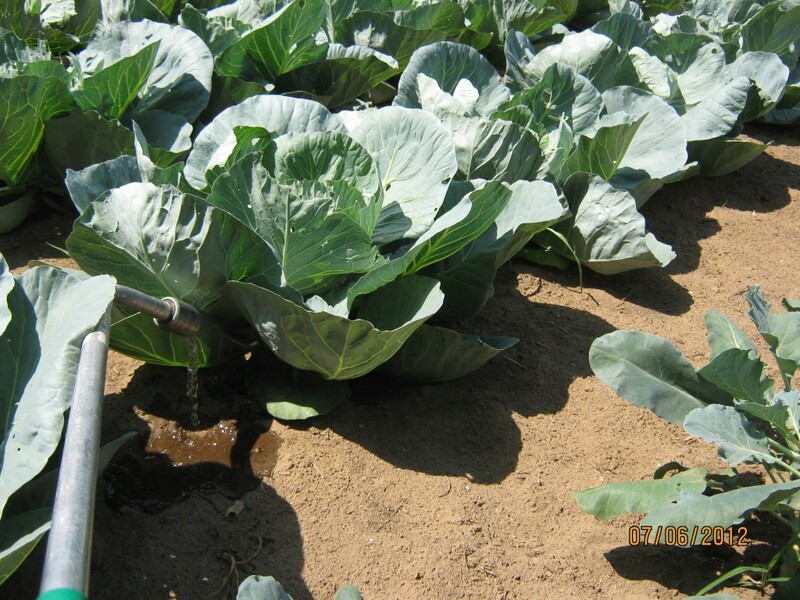 Syringing — placing water at the base of each individual plant — uses much less water than spraying the entire area with an oscillating or impulse garden sprinkler. It also helps keep the weeds down in between the plants since the soil there is so dry. The soil in my garden is so dry it has become hydrophobic. This means the water, instead of soaking into the ground, beads up on the surface like water on a newly-waxed car hood. So when I try to syringe a plant, instead of going down into the soil where the plant can use it, the water just runs off into the garden path. This is a common problem in many soils when they get too dry. When my soil gets in this condition, I use a surfactant to help the water move into the soil. 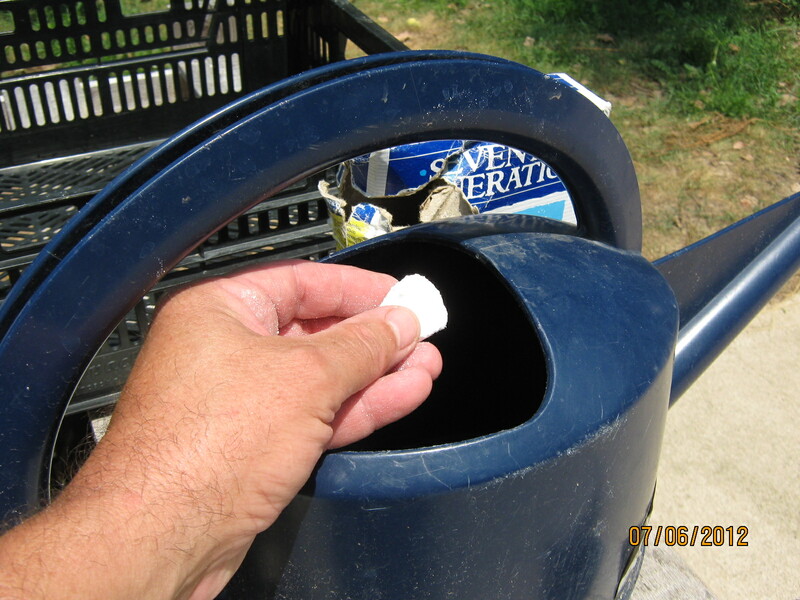 I keep a box of biodegradable dishwasher detergent in the garden shed just for this purpose. About a tablespoon or so of the detergent to a couple gallons of water does the trick in my soil. I use my watering can to apply the solution right at the base of the plants. You can see the change it makes as the water sinks right in instead of running off. This saves even more water. You won’t need to add a surfactant every time you water. The surfactant won’t last all season. So far, the application I made a few weeks ago is still working.